In a lonely corner of the Universe where rockets meet up in the twilight, a real spent rocket nozzle, cut open for inspection, rests together with some more esoteric specimens. 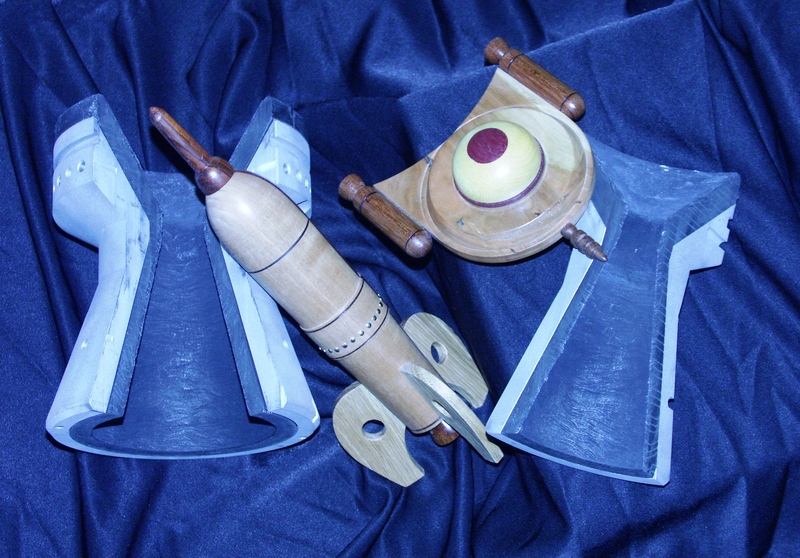 For a closer look at the UFO and other local artists’ work, visit the website of the Greater Vancouver Woodturners Guild. and no hitting needed, just four hours of cutting with a big metal-cutting bandsaw. Per cut.